We provide a non-traditional dog boarding experience, incorporating a cage-free environment for over twelve hours of play with non-stop human interaction throughout the day. Our boarders play with playgroups based on their size with access to indoor and outdoor play areas. Each boarder is provided with a spacious suite, in which they can comfortably sleep and eat undisturbed. Each dog boarding suite comes with a daily cleaning service in which we clean dishes and/or any laundry needed for our unique guests. We provide each boarder with individual drinking and feeding bowls in order to enhance their dining experience. You are welcome to bring bedding to make your pup’s stay more comfortable, as long as they are non-destructible and/or replaceable for any reason. Check out any of our three Dog Boarding facilities in Buckhead, Midtown and Westside! Feeding: We ask that each boarder bring their own food in individual zip-lock bags per each meal, so we can keep their diet as normal as possible. We will not subject boarders to possible food allergies or create indigestion problems. We can manage most special feeding requirements with detailed instructions upon drop off. Medicine: We can also administer most medicines. We need to know any food allergies up front to make sure the pill pockets or peanut butter we use will not lead to allergies. Deposit and Cancellation Policy: We require a 50% deposit when you make a boarding reservation, which is non-refundable. The remaining balance is due at time of drop-off. Major holiday and spring break deposits are non-refundable and no store credit given with cancellation. We will only issue a store credit for cancellations on non-holidays. Basic Requirements: All dogs must pass the required four-hour (minimum) temperament test before making a reservation; temperament tests are by appointment only and are complimentary for Atlanta residents. All dogs must be spayed or neutered by 8 months and be current on all vaccinations including Rabies, DHLPP and bordetella. We require all dogs to be dropped off by 12:00pm if boarding Monday through Saturday. Please notice that our weekend hours are limited and holiday hours vary. 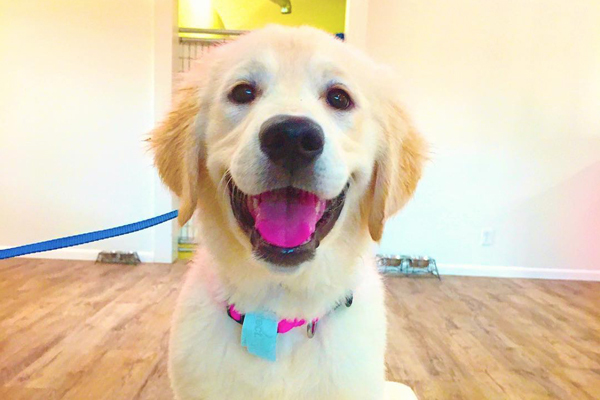 Lastly, we require all dogs to have a quick-release collar (typically plastic, operable with one hand) and do not permit choke/chain collars in playroom for the safety of all dogs. Temperament test must be taken a minimum of 24 hours before boarding.